My last post mentioned an update about the School that I gave to the Municipal and County Administration Alumni Conference. It described our shift over time in becoming a more multi-disciplinary faculty. In talking at the Alumni Conference, I also described another major trend—budget cuts and their impact on the School. 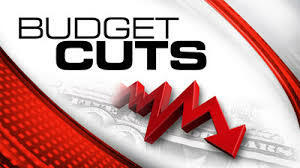 Over the last 15 years we have had permanent state budget cuts totaling $3,188,753. That cut amounts to 32% of our $10 million current state appropriation and 13% of our current $25 million operating budget. I have spent lots of time working with others to figure out how to meet those cuts, but I have never thought much about what we might have done if that money had remained a permanent part of the School’s budget. For example, the funding we have lost is the equivalent of 27 additional faculty positions. Think about the impact the School might have had by adding that many new faculty members. Of course we would not have used the money just for faculty positions, and we would have been challenged to find enough office space (think roommates), but it gives you a feel for the magnitude of the lost opportunities caused by the cuts. Here’s another important point. The School has expanded our work for public officials during the same time that we have absorbed those permanent budget cuts. That is remarkable. There are several reasons why we have been able to lose major resources and simultaneously increase services. Greater Efficiency. We have done it partly because everyone at the School has worked hard to become more efficient in offering our programs and services. Put another way, we have saved money. Thank you for working to find new savings in a variety of ways. It has made a big difference. Higher Prices. Another way we have continued and expanded our services is by asking local governments and others to cover much more of the cost of providing those services. The prices for our publications and courses have increased significantly during that 15-year period. The legislature historically subsidized most of our work, but state budget cuts effectively have forced us to shift more of those costs to local governments and the court system. I appreciate everyone’s recognition that price increases have been an unhappy necessity. 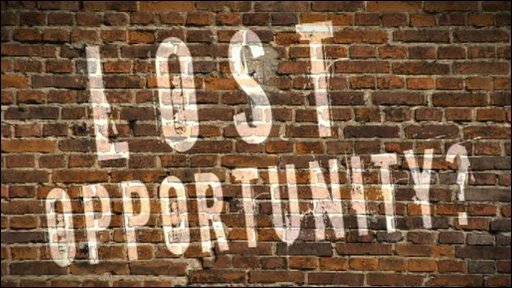 As we think about providing additional services or creating new support positions, especially in the absence of existing resources, we may be pushing against the limits of what our clients are willing to pay. Private Fundraising. Finally, we have raised private money to support our work with public officials. Through the generosity of the Local Government Federal Credit Union and others, we have been able to support new programs and provide scholarships so that many local officials can afford to attend our courses. We have talked about the concept of One School over the last few months, and our ability to withstand deep budget cuts while expanding our educational services may be the best example of its importance. It could not have happened without the commitment of all faculty and staff, and I want you to know that I appreciate it. For my part, I continue to be amazed that we have been able to increase the impact of the MPA program over three-fold via the on-line program during this time. Most of these students are in North Carolina or the region. They will be our clients for the next 30 years of their careers in many cases. And we have been able to bring in new colleagues and new energy. We’ve made some great investments that will have long-term payoffs – the build up of leadership work, innovative ideas with strong outreach (DFI, EFC), the establishment of the Foundation (! ), just to name a few. Thank you for your leadership during this time, Mike.